Describing itself as a multi-sports centre, Plusportz has opened up to the public for a number of sports including futsal, cricket, volleyball, basketball, badminton, fitness and yoga, paintball and skating. There is something to play for anyone and everyone here! 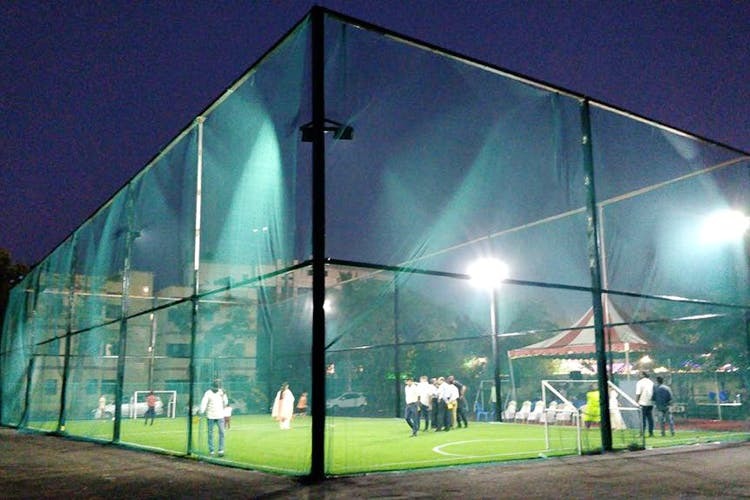 The futsal arena has three pitches which compared to the average sizes found in Chennai, are much larger in space. The space offers six badminton courts, an opportunity to play basketball on a fantastic court and box cricket too. For the little ones, there is a skating area and a paintball arena while the fitness freaks needn’t worry with regular fitness and yoga sessions taking place here as well. With a successful Reebok Bootcamp already conducted at the venue, Plusportz is the perfect place for such initiatives. Lookout for the futsal tournament that is being held for all on the Saturday, April 21! You can register here or visit their website for other bookings. With only a soft launch having taken place, be sure to follow them on Facebook to find out more about events! Located inside the ICF campus, this new multi-sports centre is sure to be the new hub for sport fanatics in the Anna Nagar area!